Have you been arrested for DUI in Santa Barbara County? 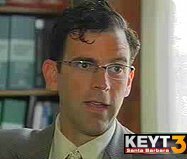 Santa Barbara Lawyer William C. Makler has 20 years of experience working in the State and Federal criminal justice systems and represents clients charged with all varieties of DUI/Drunk Driving offenses. The above sections are by no means an exhaustive list of all of the code sections which prohibit various forms of driving under the influence. A DUI arrest does not mean you are guilty. If your DUI was within the last 10 days, you must act quickly to save your license. CALIFORNIA DUI ARRESTEES HAVE ONLY 10 DAYS AFTER ARREST TO SAVE THEIR LICENSES. Contrary to popular opinion, police officers make mistakes. Moreover, the hyper-technical laws surrounding the regulation of driving under the influence of alcohol (DUI) are rife with ambiguities, if not contradictions. You owe it to yourself to become educated about what to expect and, just as importantly, what to do about it. Much depends on whether you're actually convicted of drunk driving, as opposed to just arrested. In other words, it ain’t over ‘til it’s over. Call us now at (805) 892-4922 for a free, no obligation consultation, or send an email to attorney@santa-barbara-dui.com and Mr. Makler will get back to you as soon as possible, frequently within a few minutes. »Contact us for a free, no obligation consultation. Copyright 2007-2016 Law Offices of William C. Makler, P. C.
DISCLAIMER: This is an advertisement. The material on this website is provided solely for informational purposes and does not create a business or professional relationship. The Attorney is only licensed to practice in the State and Federal Courts in California and, therefore, may not practice law, nor give legal advice to persons facing legal problems that bear no relation to California. No Attorney-Client relationship will be formed absent a written contract signed by both parties which describes, in detail, the limited scope of the relationship. Readers should not act upon information contained in this material without professional legal counseling. No visitor to this website should impart confidential information through the website unless and until the attorney confirms in writing that there are no conflicts of interest and that the attorney requests additional information. Accordingly, if you are desirous of a consultation with the attorney, please disclose your full legal name. No attorney-client relationship will be formed absent a written retainer agreement that is signed by the lawyer and the client, and that defines the scope of the representation.